Bad breath is the result of bacteria build up in the mouth. While brushing, flossing and tongue cleaning can take care of most problems, some bad breath requires more extensive treatment. A good thorough cleaning is the best way is take care of any problems. Also, we offer many products and clinical strength rinses that can help treat bad breath at home. However, some bad breath can be the result of more serious problems, such as gum disease. Only a hygiene evaluation can diagnose the correct problem. First, please call us and get in for an exam. An x-ray will be required to make sure that no damage has occurred to the roots of the teeth. Many smaller chips can be fixed with bonding, which adheres a tooth colored material to the chip and restores your smile. More extensive chips may require a crown. Only the dentist can tell what options will work for you. We offer CareCredit, which is a medical credit card that you can apply for at our office, or on the internet. CareCredit offers many repayment plans that fit your budget. Review the information on the CareCredit website and feel free to call us with any questions you may have. We’re here for you! Do I have “dry sockets”? If you look into the site where the tooth was pulled, you’ll probably see a dry-looking opening. Instead of a dark blood clot, there will just be whitish bone. The pain typically starts about 2 days after the tooth was pulled. Over time it becomes more severe and can radiate to your ear. Other symptoms of dry socket include bad breath and an unpleasant smell and taste in your mouth. You may be suffering from TMJ disorder. TMJ is a common disorder that can cause headaches, teeth grinding, migraines, jaw pain, popping and clicking of the jaw, and severe wear on teeth. Most all of these symptoms can be treated by making a “splint” or night guard. The splint fits tightly on your upper teeth and is worn at night to help alleviate any pain that you are experiencing. I have not been to the dentist in a while, what is the first step? Call us and set up a new patient exam! At the exam we take current x-rays, diagnose any problems, and treatment plan your options. A treatment plan will estimate costs, and stage treatment needed to restore oral health and or course, a great smile! Missing teeth can be addressed in a variety of ways. Bridges, implants, partials and dentures can fill in gaps to restore chewing surfaces and a great smile. Cosmetic dentistry can fix many areas of concern. There are many options such as, dental crowns & bridges, dental veneers, dental bonding and teeth whitening that can restore your smile. Please ask us about what options will work best for you! What can I expect at my dental visit? Each visit can vary in time due the amount of procedures being completed and the extent of the treatment. Cleanings generally take an hour to complete; time may be extended if a more extensive cleaning is required. Crown preparations can take 1-1 ½ hours for your visit. After your crown is completed, you will be required to return 2 weeks later for your crown insert. This visit can take around 30 minutes. Bridge preparations can be completed in 1-1 ½ hours. After your bridge is completed, you will be required to return 2 weeks later for your bridge insert. This visit can take around 30-45 minutes. Cavities are filled anywhere from 30 minutes or more, depending on the number of fillings being completed at your visit. Implants vary in time from 45 minutes to an hour, per implant being placed. Completed treatment is same day to months in duration. A dental assistant will be able to answer any questions you may have. Children around the age of two should come in for a visit. This initial visit will check how teeth are erupting, and familiarize them with the dentist. The first visit will be as fun and relaxed as possible. Each child is unique and we gage our time with your child accordingly. It’s never too early to start brushing your children’s teeth. At this age just use a small smear of fluoride toothpaste and try to make it fun for them. Watch Dr. Karl’s one year old daughter Lexi have fun brushing her teeth. Typically wisdom teeth should be extracted between the ages of 16-19. Wisdom teeth decay easily because they can become hard to clean. Crowding can cause structural damage to your bite causing pain and an unsightful smile. Wisdom teeth often need to be extracted prior to orthodontic treatment. Impacted teeth have increased pathologic risk of cysts and tumors. Getting your wisdom teeth extracted is nothing to worry about. The procedure varies in time from 45 minutes to an hour. 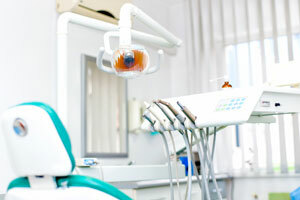 We use local anesthetic so you will be completely numb and comfortable. Conscious sedation is an option, please call us for details. Make sure that you eat before your procedure and bring a friend or family member to drive you home. Check out our “form page” for care instructions after your extractions! Everyone wants the cleanest teeth possible. Plaque at and under the gum line can cause gingivitis and eventually periodontal disease. With this in mind, many people are changing to an oscillating – rotating power toothbrush. But will these power brushes cause recession or existing areas to get worse? Worry no more! Recent studies have shown that these power brushes will not cause your gums to recede, in fact, this study showed a reduction in gum recession in some cases which was not only unexpected but also in complete conflict with a prior study.Power toothbrushes have changed in many ways over the years. There are wide varieties of heads, different modes of power, and they are available at prices from about $30-$100 on average. Power toothbrushes have changed in many ways over the years. There are wide varieties of heads, different modes of power, and they are available at prices from about $30-$100 on average. At Anderson Dental we recommend the Braun Oral-B Vitality for optimal cleaning and healthy tissue. Your smile says a lot about you… Make yours sparkle!